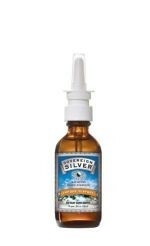 In its active colloidal form, all the benefits of silver are magnified and rendered more meaningful. * Smallest average particle size ever seen - 0.8 nm (nanometers) / 0.0008 microns / 8 Angstroms - confirmed by Electron Microphotography. * Safe low concentration of 10 ppm (parts-per-million) - confirmed at an FDA approved laboratory. * Ultra-pure water (the only other ingredient). Unprecedented particle size and particle energy. Over 150,000,000 particles of active silver in every single drop. Naturally bio-available (based on particle size and dispersion). Clear and virtually tasteless, where color indicates ontaminants, oxidization or additives are present.